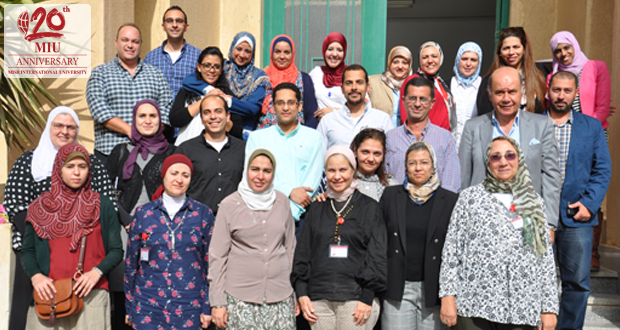 Misr International University is always working on developing its staff’s knowledge in order to deliver the desired unique and quality education to its students. Therefore, MIU’s Faculty of Oral and Dental Medicine organized on Thursday 7th April, 2016 a workshop for staff members and teaching assistants entitled: Evidence-Based Dental Practice: The Paradigm Shift. 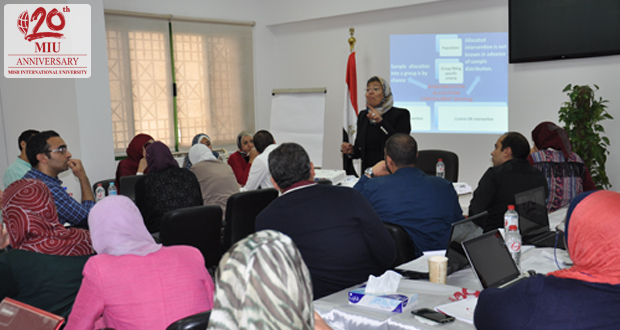 The workshop was introduced by Assistant Professor Hend Salah, Department of Epidemiology and Health Promotion, New York University, and Cairo University Cochrane Oral Health Group Reviewer. 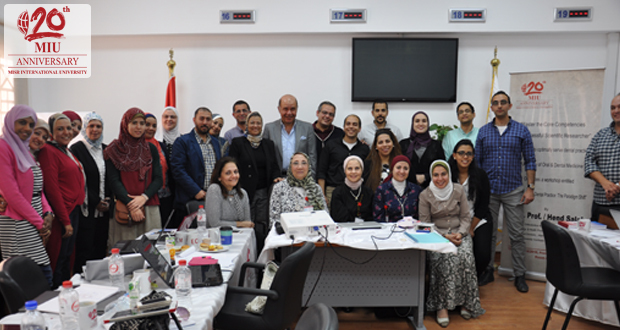 Ten participants from the National Research Center (NRS) attended the workshop as part of the collaboration between the Faculty of Oral and Dental Medicine and the NRS. Twenty MIU staff members participated in the event. The aim was to increase the awareness regarding Evidence-Based Dental practice among all staff members.